It is easy to not speak any Finnish in Finland. The blunt truth is that if you plan to visit Finland, you don’t need to know any Finnish to get by. Most Finns speak excellent English and are not at all offended that you can’t speak Finnish. After all, they are well aware that their language is small and, when compared to other European languages, and a bit strange. However, in general, I believe it is important to learn at least a few phrases of the local language wherever you go—not only does it demonstrate respect and curiosity, but it will probably lead to some fun conversations with locals who enjoy teaching you silly words. This is the second article in a series I have been asked to write for Pink Pangea as their new Country Expert on Finland. 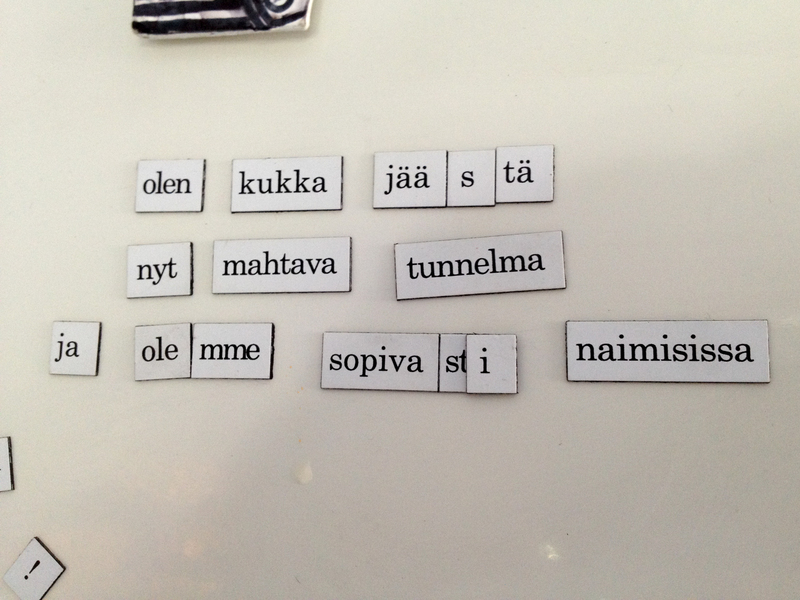 Oh joo, and I did write that absolutely amazing refrigerator magnet Finnish poetry over there, kiitti. I have heard that Finnish is such a hard language that some native Finns, after some time abroad and without almost any contact with Finnish, after using an easy language like English they start to have some troubles with the grammar (cases, suffixes, declensions…).